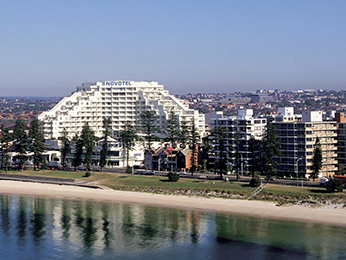 Located to the south of Sydney CBD, Brighton Le Sands is a vibrant and thriving beachside town. With a huge array of eateries and boutique stores, Brighton Le Sands is popular amongst leisure travelers, families, and couples alike. Being a short 10 minute drive to Sydney airport, Brighton Le Sands is a relaxing alternative to business travelers who would like to stay outside the Sydney CBD. Feel welcome at one of the hotels offered by AccorHotels and our partners in Brighton Le Sands. Discover our selection of luxury to budget hotels in Brighton Le Sands for your next business trip, family holiday or weekend break.